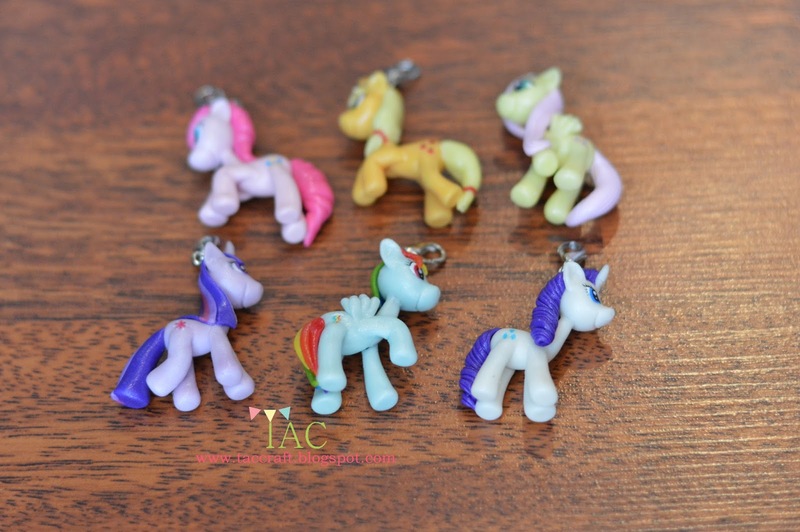 Yes..Little Pony again ^^ but this time these cuties are made into charms, so their size are smaller than the one I made previously for cake topper and necklace. 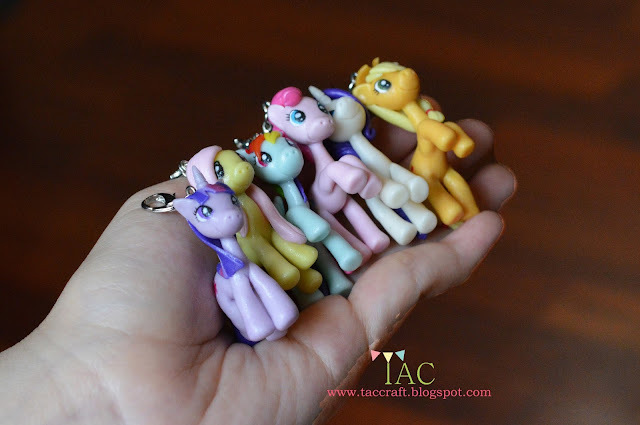 It's always enjoyable to make these cuties eventhough longer time needed to finish them. 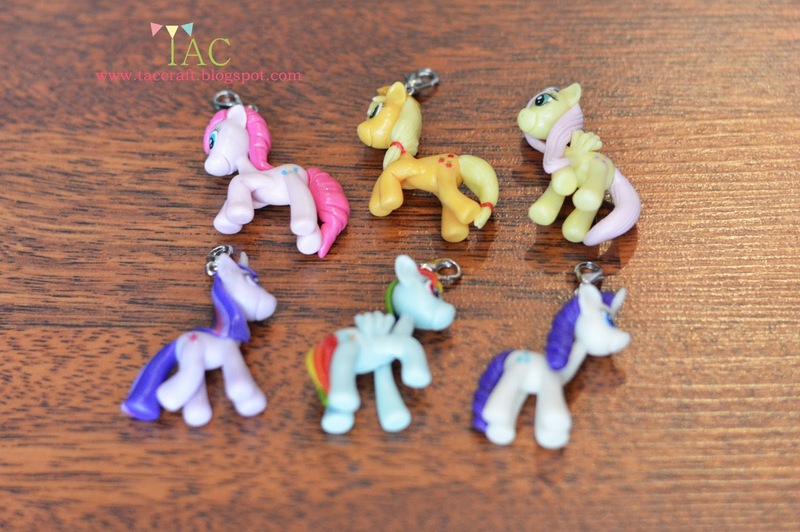 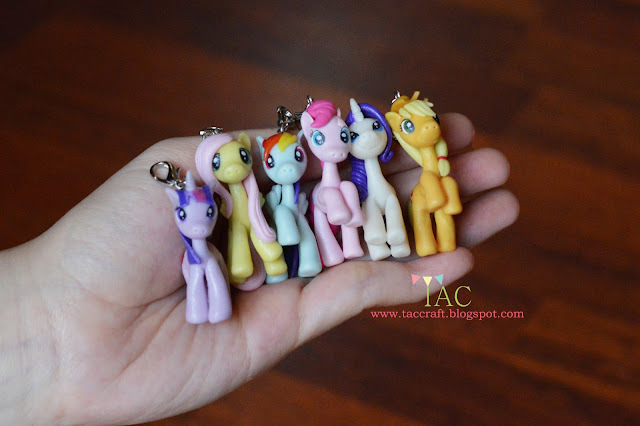 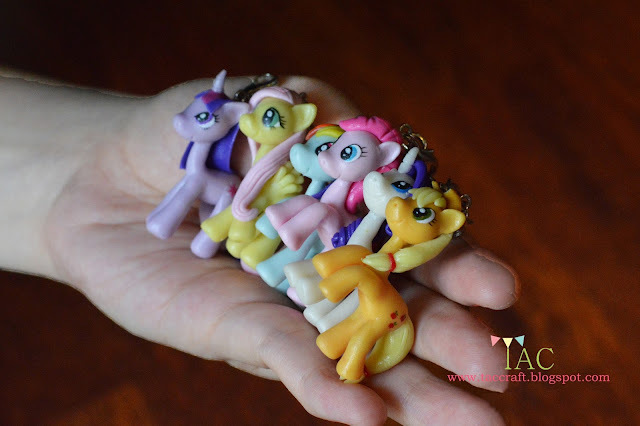 These 6 adorable ponies are made using Japanese air dry clay (my best friend).